We'll customize your itinerary to pick you up anywhere in San Francisco! Sunnyvale, California, part of the bay area's Silicon Valley, is a fascinating tech-focused city home to headquarters and operating centers of many large tech companies, including LinkedIn, Yahoo!, Google, and Apple. Whether you're coming in for a business trip or for leisure, San Francisco Charter Bus Company has you covered for all of your transportation needs near the Bay Area. Coaches are an affordable and comfortable alternative to airplanes. Plus, your bus can take you into Sunnyvale and drop you off right at your hotel! 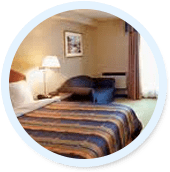 Book with us and you'll be able to choose from a variety of amenities such as reclining seats, air conditioning, and plenty of legroom, with WiFi and televisions available upon request. Book a private bus that operates on your time. Instead of relying on public transportation, let your driver transport you through Sunnyvale according to your personal itinerary. Let us know when and where you'll be stopping, and we'll be your personal transportation service throughout your whole trip. Choose from amenities such as reclining seats, air conditioning, and more with a charter bus or minibus. We'll find the one that's perfect for you, ensuring a comfortable and safe trip. Don't split up your group into separate cars. Keep everyone together on a bus and ensure that everyone arrives together and on time. On the road, you'll be able to socialize and enjoy a movie or two with on-board televisions and DVD players, both available upon request. Take your bus over to Sunnyvale Baylands Park for a day of strolling through 70 acres of beautiful California greenery! Instead of navigating unfamiliar city streets, dealing with traffic, and finding parking, you can let your driver navigate for you and drop you off at many venues throughout Sunnyvale. Enjoy your time at each stop, then hop right back onto the bus when you're ready to leave. Once you're comfortably seated on the bus with your group, ask your driver to take you on a scenic drive through Sunnyvale. Relax with reclining seats and take in the city through panoramic windows while you sit back, chat with your group, and cruise past all of the city's most beautiful sights. We'll pair you with a driver who's an expert at navigating Sunnyvale so you won't have to worry about learning new routes or navigating unfamiliar city roads by yourself. 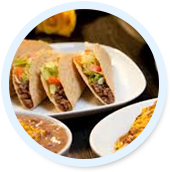 Ask your driver about all of the best local restaurants and venues! Turn the bus into your mobile office with WiFi and power outlets, both available upon request. Corporate travelers will be able to get some extra work done, hold impromptu meetings, and prepare for upcoming presentations on the road. Heading to a convention in nearby Santa Clara, San Jose, or Palo Alto? Let us take you to Sunnyvale's Corporate Inn and act as your personal transportation service to your events. 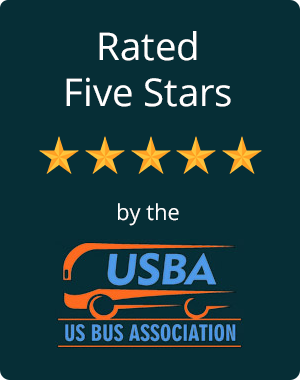 With 5 million miles logged and a record of 0 accidents, we're the safest choice for bus rentals in Sunnyvale. We work with drivers who undergo extensive training and background checks, and we only charter buses that are safety-approved according to California's Department of Transportation. 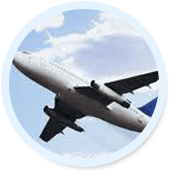 Airlines often lose luggage or cause it to arrive late; with a charter bus, your luggage will stay with you throughout your entire trip in undercarriage compartments and overhead storage bins. All of your things will stay secure during your journey. Have any questions? Our sales representatives are available 24/7 for questions, tips, and reservations. Call us at 408-215-4965 for a free quote today!